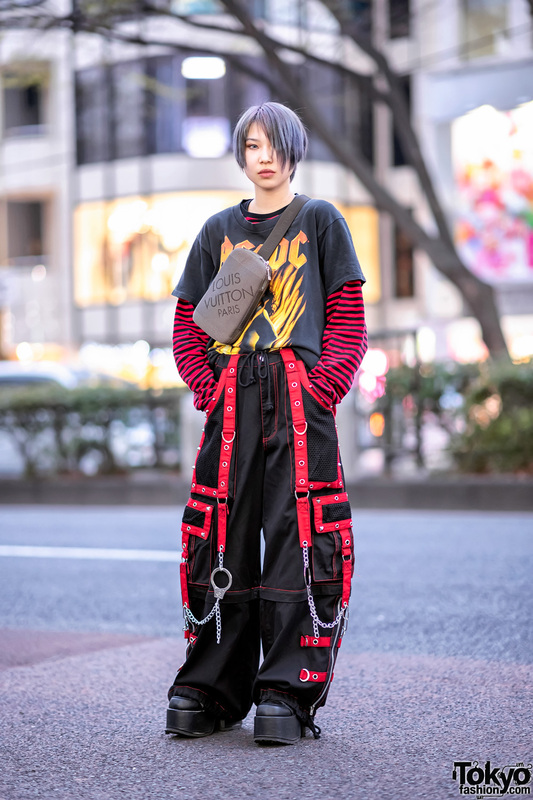 We spotted 19-year-old Ryosuke with his striking street style while strolling around Harajuku. 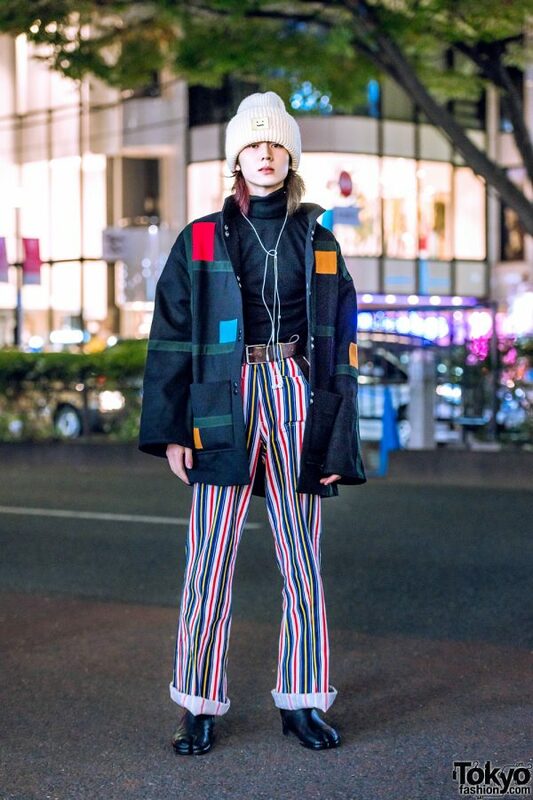 He stepped out in a Muji black turtleneck top under a vintage black jacket with multicolored patches. 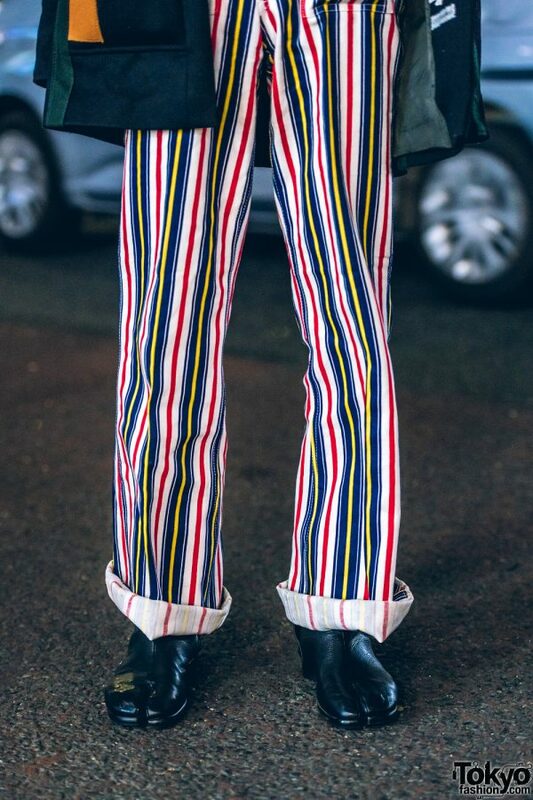 Ryosuke also wore vintage pants with multicolored stripes and a wide-leg shilhouette. He styled them with a black leather belt and black leather tabi boots from Maison Margiela. A cream-colored knit beanie from Acne Studios finished off his look. 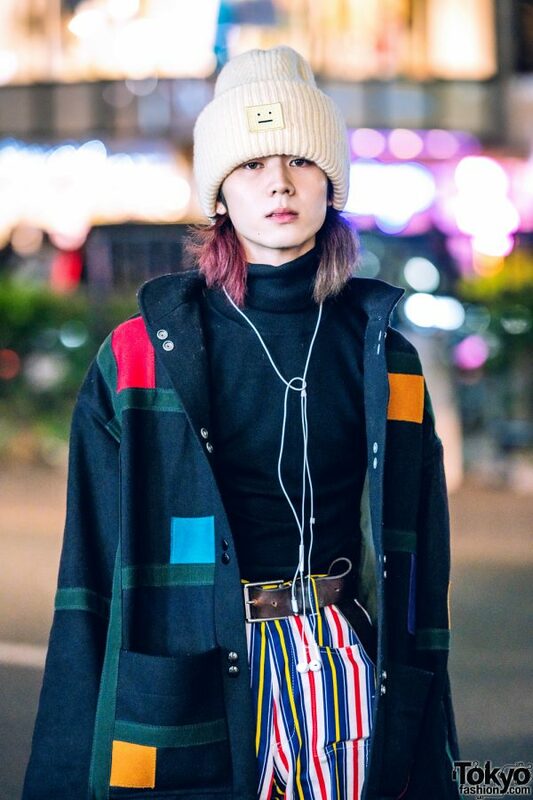 Ryosuke loves all fashion brands and listening to music from Judy And Mary. 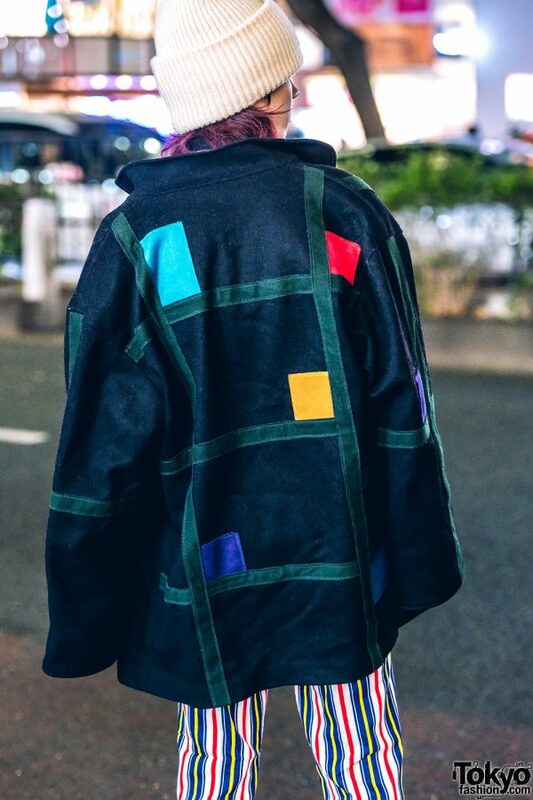 Follow him on Instagram for more of his Japanese menswear style.